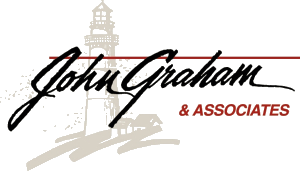 Employer-Sponsored 401(k) Retirement Plans : John Graham & Associates, Inc.
Our trusted advisors design solutions that protect plan sponsors. We provide professional advice to plan participants, breaking down a critically important and complicated subject into an easy to understand process. We can help improve employee outcomes while potentially mitigating specific plan liabilities. We have been fiduciaries for decades and can act as fiduciaries for your employer-sponsored retirement plan. This means we will sit with your employees and give advice on their investments, in addition to other financial planning topics. We partner with competent 3(16) providers. As independent financial advisors, we are not bound to any product or third-party administrator. This allows us to be flexible in plan design, working with the employer to build the best plan possible for their needs. Our advisors will work with you to help define your fiduciary responsibilities, industry best practices, any potential risks, and strategies to mitigate those risks. We take participant education and service seriously. Employees who have a better financial awareness tend to be happier workers and are more likely to retire when they want. We will spend face-to-face time with employees throughout their career. Throughout the year, the JGA Benefits Team connects with your employees to support their retirement efforts and track their progress. With JGA, they get a personal touch. Every year, we connect in person with on-site employee meetings, during which we will meet with participants individually to assist them with the enrollment process, as well as meet with current participants to review their account. We also provide group meetings on a variety of topics, such as enrollment information for newly eligible employees, plan changes, stock market volatility, and other timely subjects. Based on the annual plan review, we can create target educational workshops with the intent of improving specific plan demographics. We offer live local educational workshops on the fundamentals of financial planning. With the help of a financial advisor, a well-designed employer-sponsored retirement plan can help you attract and retain valuable employees. Our service model empowers employees to better understand their benefits package, which can lead to greater appreciation of the benefits and higher participation rates. It also allows us to focus on increasing plan demographics, such as deferral rates and proper asset allocation. This can lead to more satisfied employees and a more successful plan for you. We offer fiduciary outsourcing and other ways to minimize your fiduciary responsibility to your retirement plan. We can implement strategies that can potentially decrease your liability, increase plan demographics, increase employee satisfaction, and make the plan easier for you and your employees.